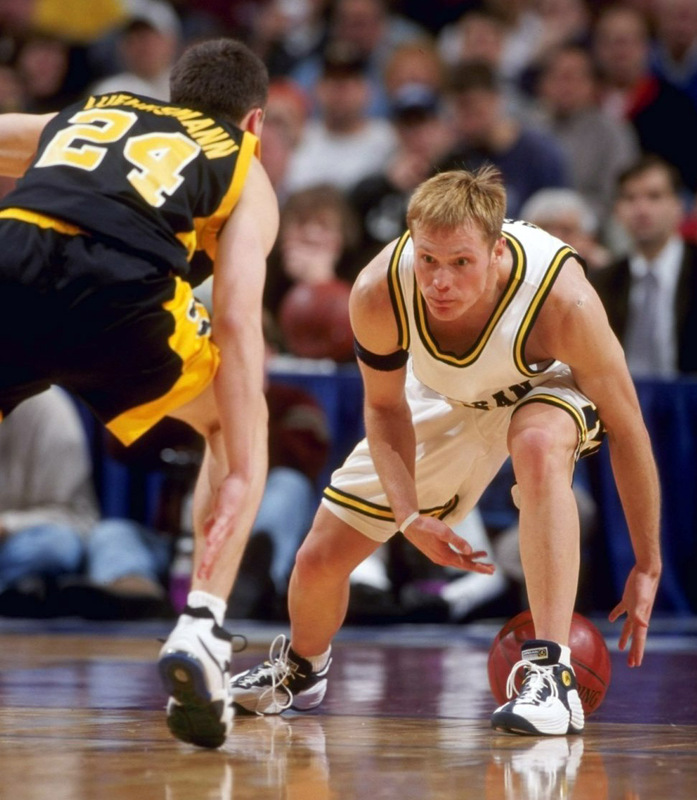 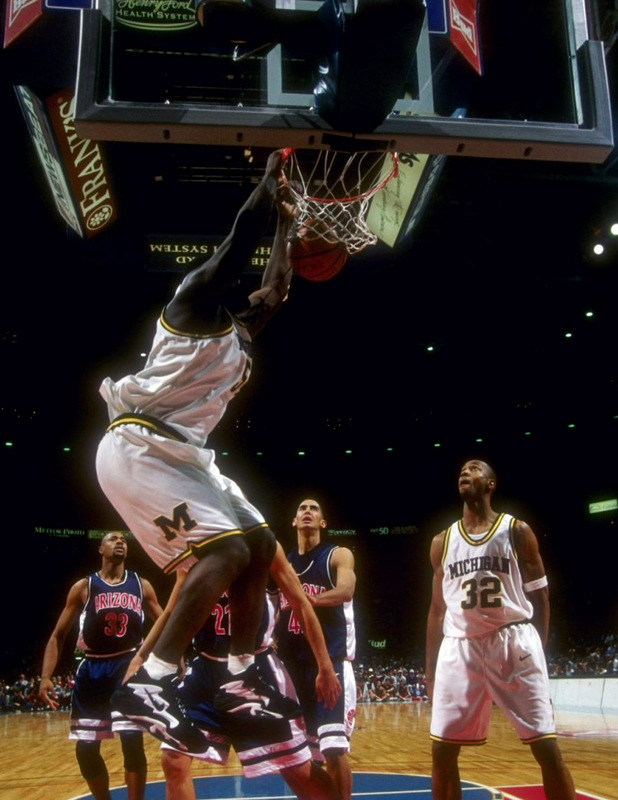 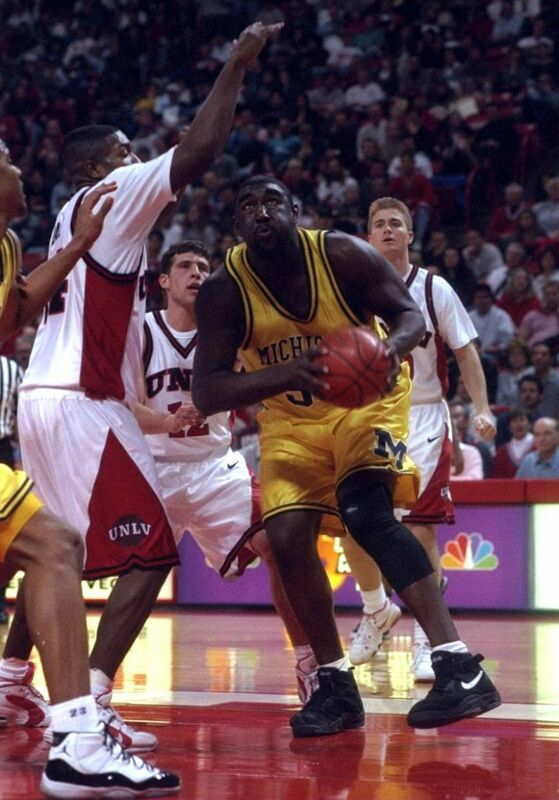 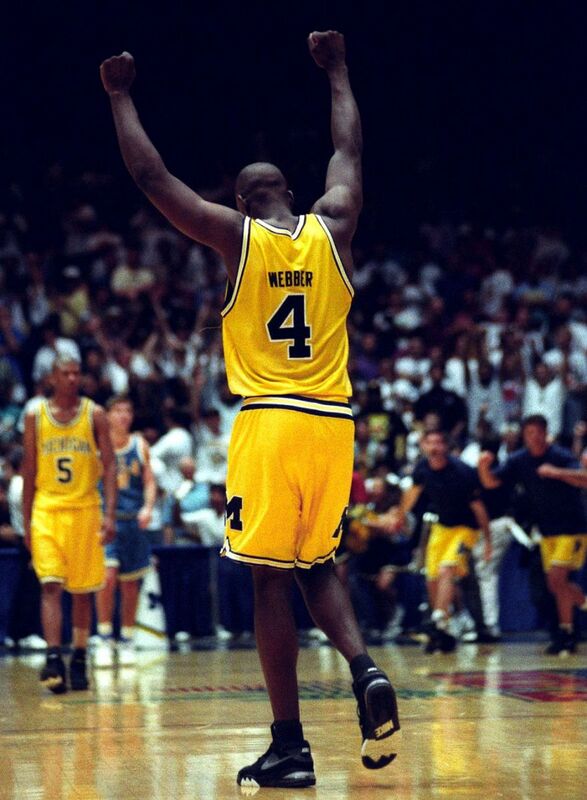 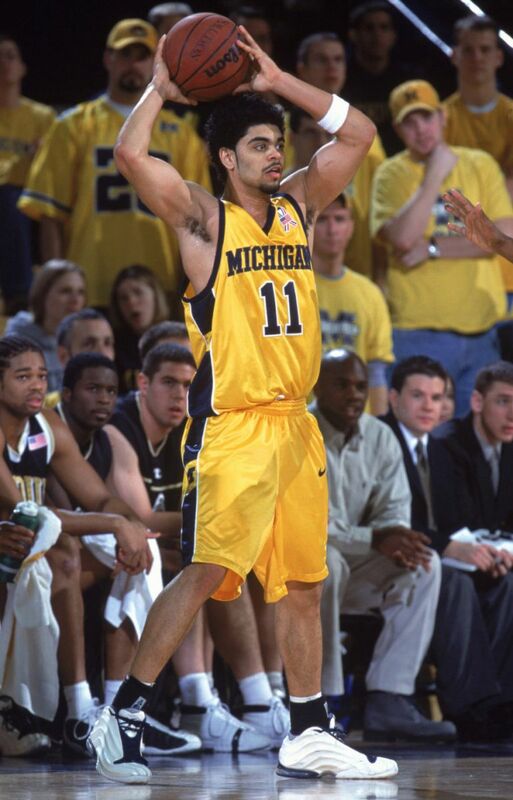 The Michigan Wolverines are up next in our March Madness sneaker retrospective. 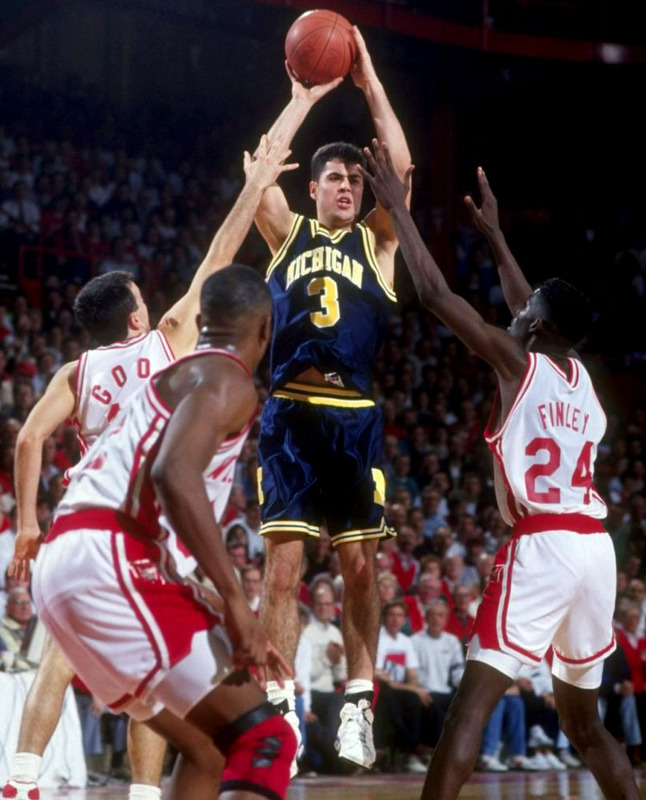 See the best kicks of the Fab Five and plenty more. 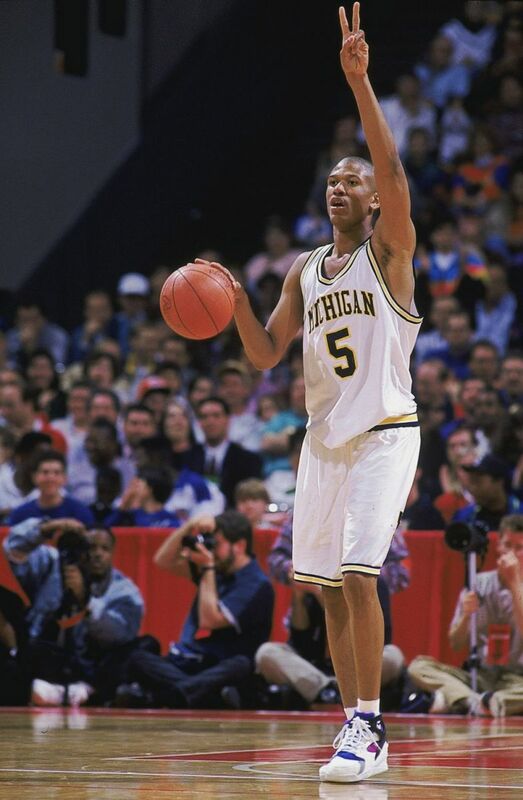 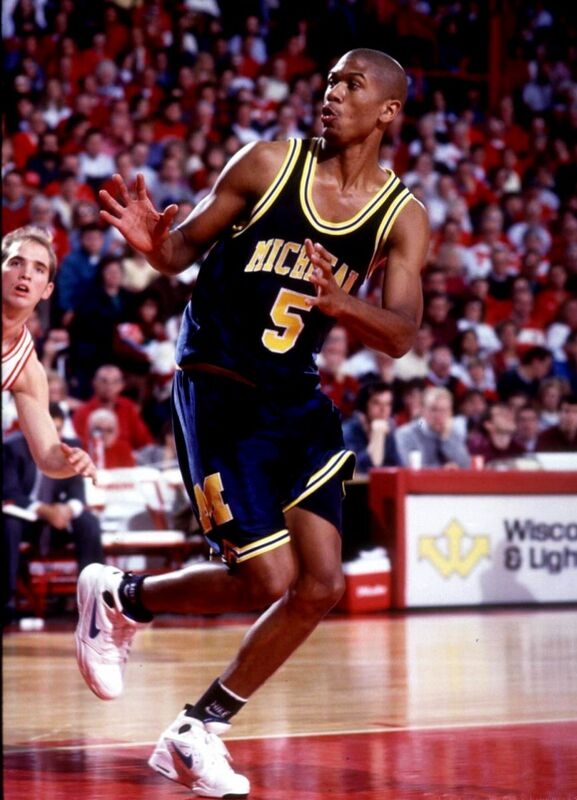 Michigan's Fab Five basically created the awareness of sneakers in NCAA basketball, at least to the average joe, when the squad famously broke out their infamous black socks with classic Nike models like the Air Flight Huarache and Air Force Max. 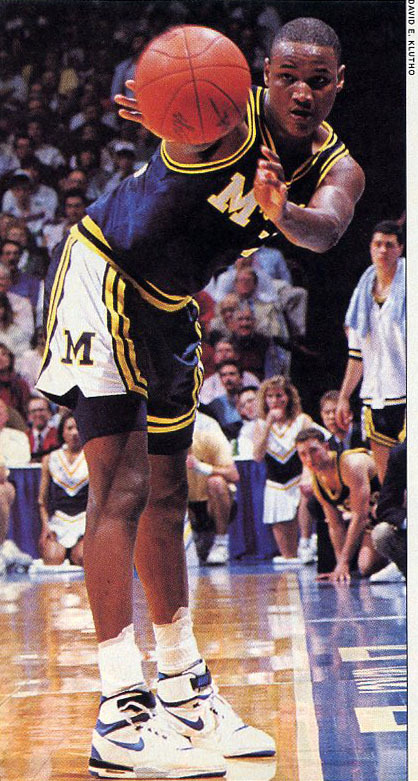 It's hard to imagine now that wearing black socks was once a semi-controversial thing, but those along with the Fab Five's "hip-hop mentality", baggy shorts, shaved heads, and flashy style of play was not easily accepted by the conservative college basketball status quo of the early 1990's. 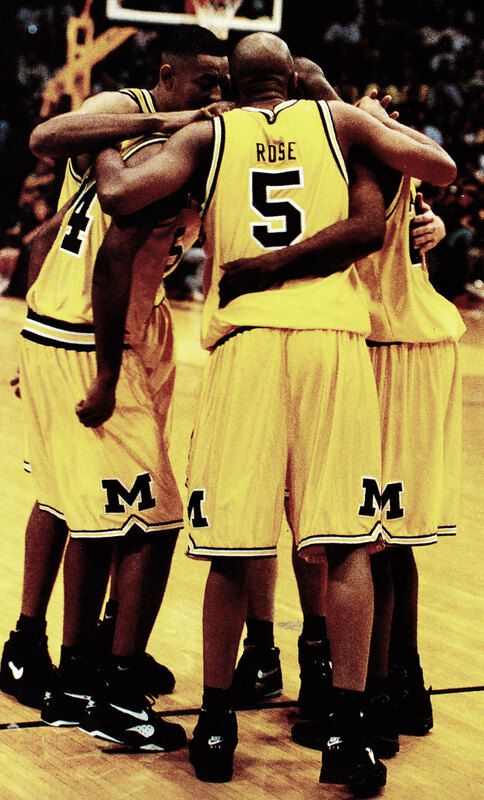 The Fab Five made Michigan the Nike Basketball school for years. 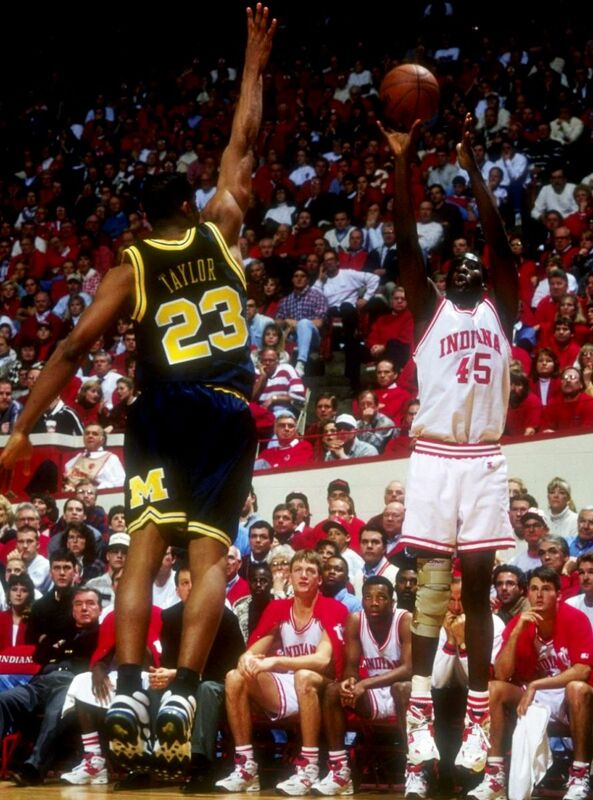 The two went hand-in-hand. 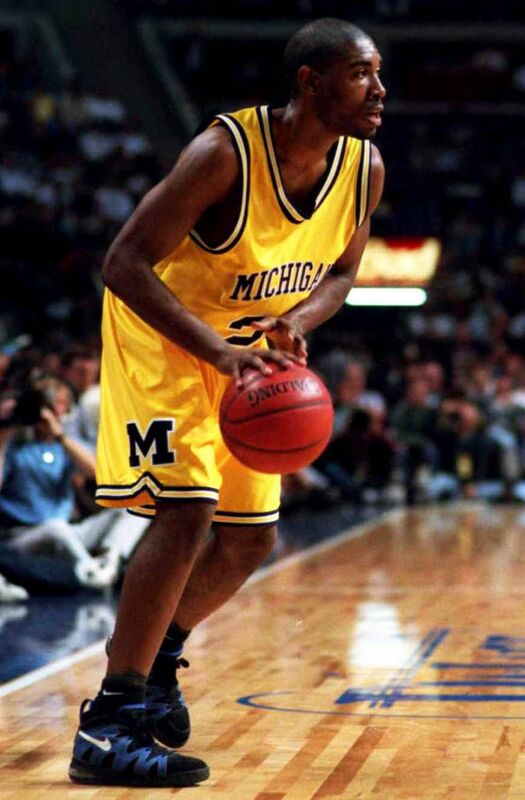 That's why it came as a bit of a shock to longtime fans in the sneaker scene when the Wolverines signed on with adidas in 2008. 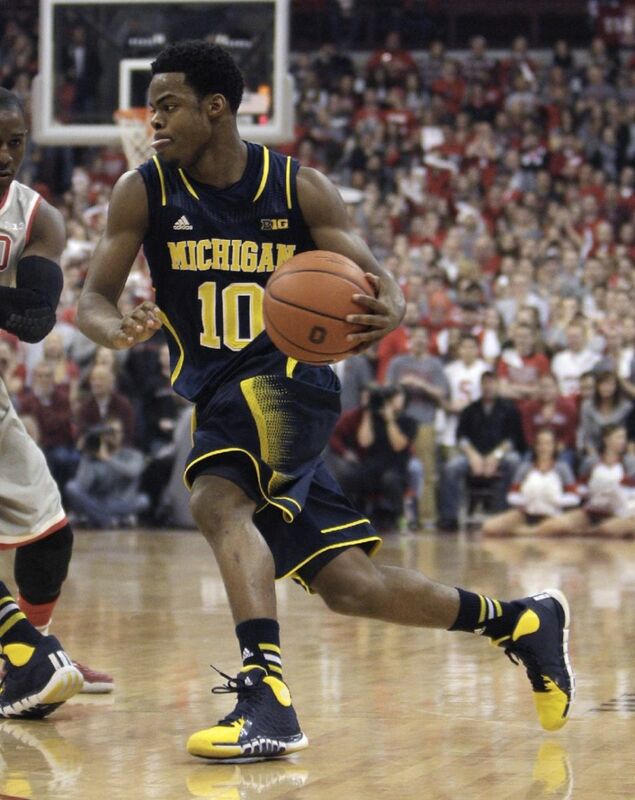 But no matter, Michigan still keeps winning with whatever brand of sneakers they're wearing. 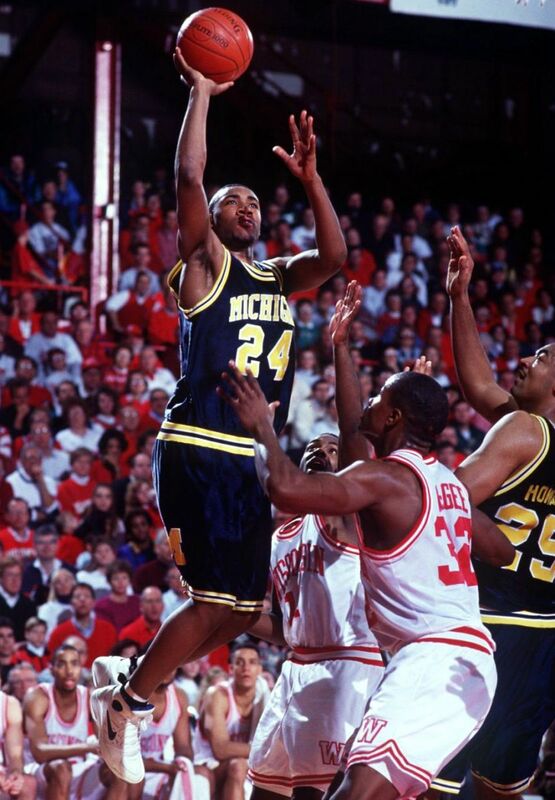 In fact, they look to be ready for their second straight Final Four appearance, as they wear the best of adidas Basketball. 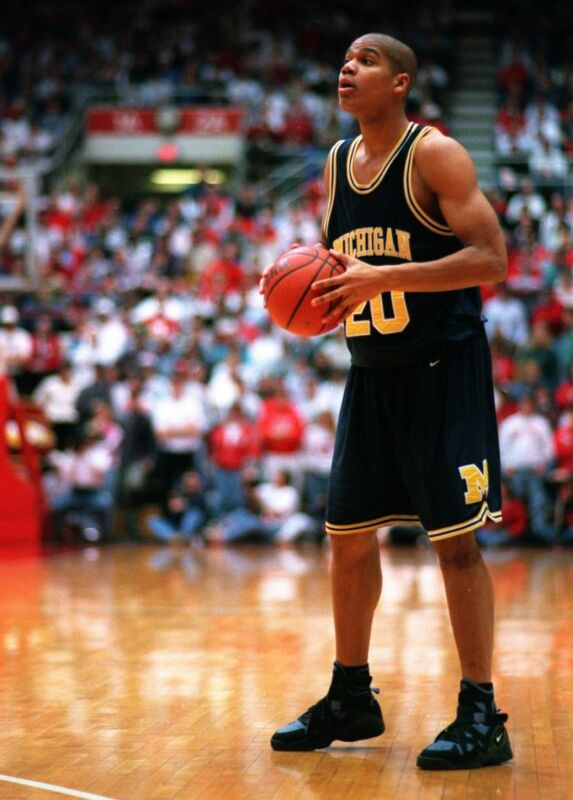 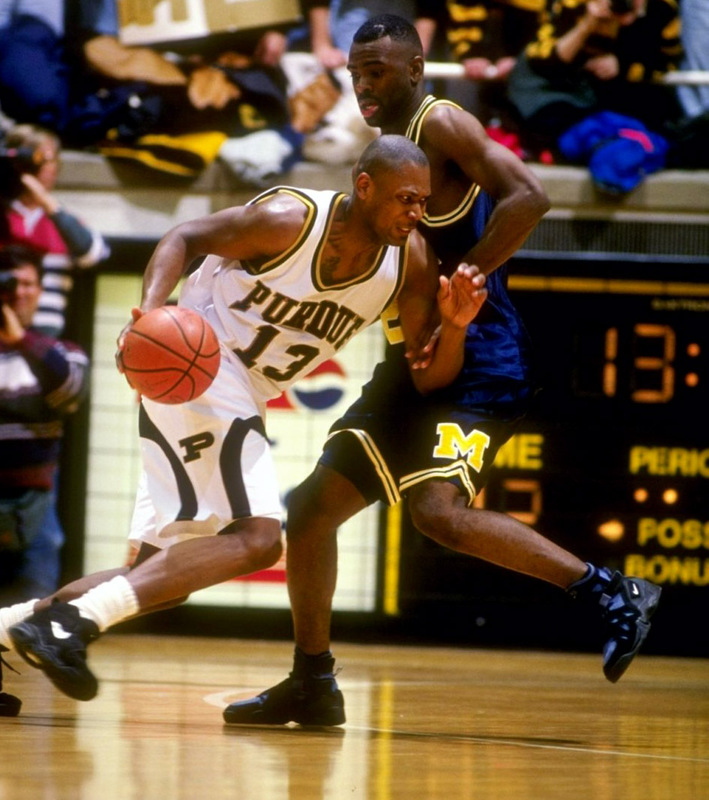 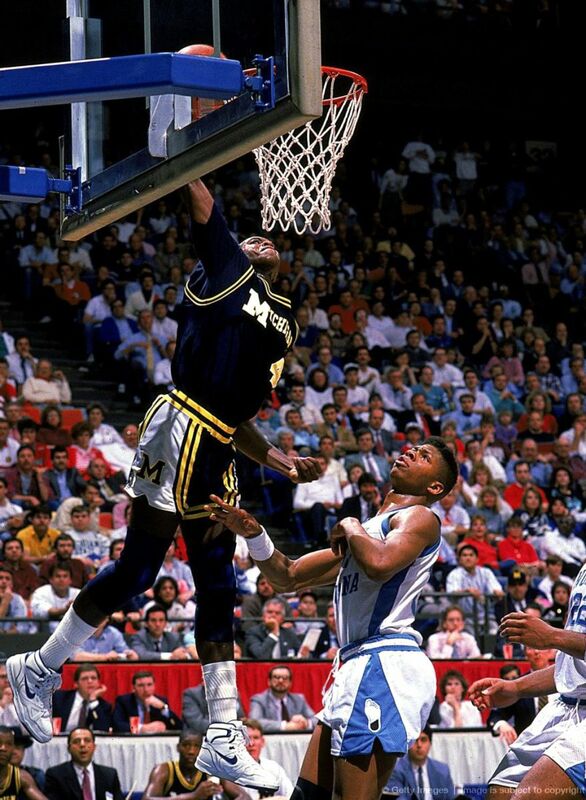 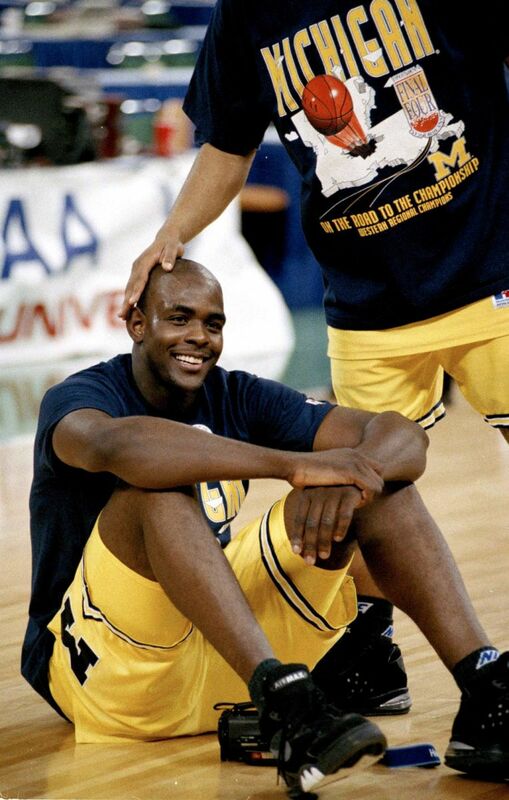 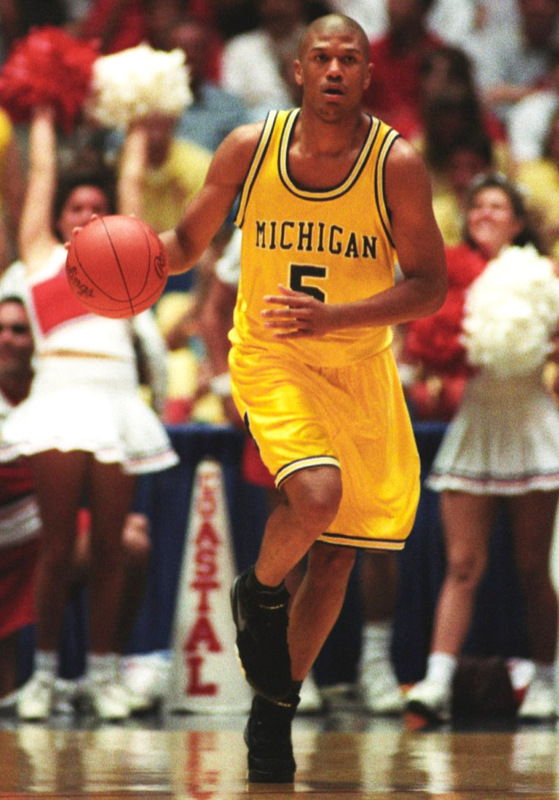 Our March Madness retropective of the best sneaker colleges continues today with a look at all of the best shoes worn by the Michigan Wolverines throughtout the years.